Join the Great Smoky Mountains Association and Naturalist Wanda DeWaard on Saturday, June 23rd, for a Cucumber Gap Loop walk during the late evening and early night hours. Experience a whole new perspective on the park as you focus on the amazing changes that take place as day turns into night. Special emphasis will be put on using your ability to become aware of night creatures and interpreting what you see and experience using all your senses. Bioluminescent critters, including some fireflies, are sure to make their presence known. This easy to moderate trek is about 6 miles in length, and includes several small stream crossings. The GSMA recommends bringing a buddy, hiking sticks, water, lunch or light snack, extra socks and stream-crossing shoes, rain gear, and a small flashlight (NOT an LED). Wear good hiking boots and appropriate clothing. Meet at the upper parking area at Elkmont's Little River Trailhead at 5:30 pm. The walk should finish by 11:00 pm. Reservations are required by calling 865.436.7318, Ext. 222 or 254. There is a $5 fee for GSMA members; $10 for non-members. Children must be 12 years old and accompanied by an adult. Participation is limited to 20. For more information on hiking the Cucumber Gap Loop, please click here. Due to the unseasonably warm spring, the synchronized fireflies found in Elkmont at Great Smoky Mountains National Park are displaying earlier than ever recorded according to park officials. The shuttle service to the event site is still scheduled to take place from June 2-10 for ticketed reservation holders only. Park biologists are predicting that there may still be some activity during the weekend of June 2nd, but the display will be past peak and may taper off significantly well before the following weekend. Those with reservations are being advised of the possibility that the display will not be as good as in previous years. This early showing has prompted the Park to close the Elkmont entrance road to motor vehicles and pedestrian use every evening from Wednesday, May 30 - Sunday, June 10. Only registered campers staying at the Elkmont Campground will be allowed to access the road. The Park had set aside 25 parking passes aside to make available the day before the event through www.recreation.gov. These passes may be withdrawn depending on the activity of the fireflies. Please visit www.recreation.gov for current status on these passes. The popularity of the annual firefly event has made it necessary to close access to the Elkmont viewing area to protect park resources and visitor experiences. This closure requires the availability and coordination of a large number of park staff and the shuttle service provider. The event is generally scheduled based on the recorded timing of firefly appearances in the past years, but Spring 2012 was uncharacteristically warm and made it difficult to accurately predict well in advance. Due to the logistics involved, the Park does not have the flexibility to switch the event operations forward or backwards to match the peak firefly activity. Kick off the first day of summer by helping Jamey Donaldson herd 34 goats from Carvers Gap to Jane Bald at part of the Baa-tany project. The Baa-tany Goat Project is a stewardship initiative to manage and restore grassy balds in the western Highlands of Roan Mountain. Volunteers make the Baa-tany Goat Project a success each year. This year's herding event will occur on June 20th. If interested in participating, please RSVP with Rich Preyer at rich@appalachian.org or by calling 828-253-0095 ext. 205. Please bring hiking shoes, lunch, water, jacket/rain gear, camera, and warm clothes. Cyclists and cycling fans may want to note that Cannondale Bicycles has recently launched its exciting Backstage at the Tour Contest. For the second consecutive year Cannondale will make a cycling fan's dream come true by giving them a once in a lifetime opportunity to spend a week with Team Liquigas-Cannondale at the Tour de France. As part of the experience, the winner will be a member of the behind the scenes team working on race-day preparation and athlete support at the world's most famous cycling event. "Ever since I was a kid, my dream was to be a part of the Tour de France in some way and Cannondale gave me that opportunity," said Joe Praino, last year's grand prize winner. "From eating dinner with the Liquigas-Cannondale riders, to accompanying them in the team car with the directors, it was an experience that few are privileged to have." Cannondale Facebook fans will also have the chance to vote on various backstage jobs they want the winner to perform while at the Tour de France, from spraying down bikes to preparing the team's food. Facebook fans will choose which activities make the cut, and the winner will blog about performing them while onsite at the Tour de France. The 99th running of the Tour de France features one prologue and 20 overall stages that cover 3,479 km (2,160 miles). The Tour kicks off from the Parc d'Avroy, in the heart of Liège on Saturday, June 30 and concludes in Paris on Sunday, July 22. I love Cannondales! I'm currently on my third Cannondale, and have been riding them for almost 25 years now. 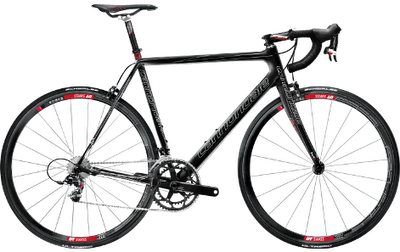 So, having an opportunity to win a SuperSix EVO bike is pretty exciting! Quick: What's the longest National Scenic Trail in the United States? Most people would probably say the Appalachian, Continental Divide or the Pacific Crest trails. They would all be wrong. Stretching more than 4600 miles through 7 states, from New York to North Dakota, the North Country Trail actually owns that distinction. To help promote this relatively new and unknown trail, the North Country Trail Association is offering the Allegheny 100 Backpacking Challenge next month. The Allegheny 100 Backpacking Challenge is an attempt to hike 100 miles in 50 hours in the Allegheny National Forest in Northwest Pennsylvania. This is not a race but rather an endurance event to challenge yourself on a 100 mile section of the NCT. The trail is not difficult in terms of climbing and descending, but 100 miles is 100 miles. Outside support is not permitted - so you're on your own once on the trail. 50 and 25-mile options are also offered. The event will be held starting on Friday, June 8th at 6 PM through Sunday, June 10th at 8 PM. The welcome table will be located at the PA 66 Trailhead, five miles South of Marienville and 1.2 miles North of Vowinkel. 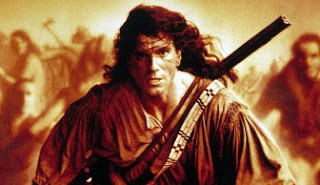 This year is 20th anniversary of the release of the epic adventure film, The Last of the Mohicans. In celebration of the film starring Daniel Day-Lewis, Chimney Rock State Park will offer an outdoor viewing of the film next month - on location where many of the scenes were actually filmed. Marvel at the beauty of the Hickory Nut Gorge's towering rock cliffs, lush landscape and 404-foot waterfall on the big screen while the scenery surrounds you! Pre-show entertainment will be provided. The movie will start around 8:55 P.M. on June 16th. $5 parking per car, or free parking with receipt for same-day paid Park admission. Advance discounted parking for $3 available at Ingles in Lake Lure, NC. Come early to sign up for guided hikes (first-come, first-serve, limit 15) held at 3:30 and 5:00 P.M. to see several filming locations. Earlier this week the National Park Foundation, the official charity of America's national parks, announced over $200,000 in grants to be awarded to the thirteen national parks selected to participate in the 2012 Active Trails program, including Great Smoky Mountains National Park. Now in its fourth round of grants, the National Park Foundation's Active Trails program promotes national parks as a venue for community engagement and encourages healthy living through various forms of recreation and volunteer service on land and water trails. "Maintaining over 18,000 miles of trails is no small task," said Neil Mulholland, President and CEO of the National Park Foundation. "The Active Trail funds help parks across the country create or expand vital trail related projects, improving the visitor experience and encouraging engagement opportunities with each parks' gateway community." 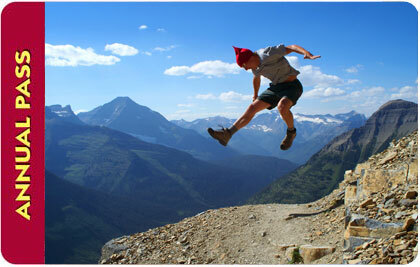 Since 2008, the National Park Foundation has granted over $1.2 million through its Active Trails program. To date, Active Trails has engaged more than 3,100 volunteers and 86 project partners who combined have contributed over 13,000 hours to help promote, refurbish or build national park trails that were ultimately enjoyed by 291,000 visitors (and counting!). The full list of 2012 Active Trails Grantees can be found here. NPS Digest is reporting that three men have been arrested for breaking into parked automobiles in Great Smoky Mountains National Park. Park dispatch received a report of suspicious activity from park employees at the Elkmont Campground ranger station on April 25th. Three men in a red vehicle had been seen at the Little River Trailhead looking into the windows of unoccupied cars. Ranger Heath Soehn searched for and found the car, which was heading away from the trailhead, and got its license plate number. While following the car he saw an object being thrown from the front passenger side window. Soehn and Ellen Paxton, a special agent on detail from ISB, stopped the car for the observed littering violation and found that the item that had been thrown from the car was a window punch. Soen and Paxton soon learned that three vehicles with smashed-out windows had been found at the trailhead. During a search of the car, Paxton found property that turned out to belong to people from all three of those vehicles. The person who phoned in the initial report also identified the three men as the ones seen at the trailhead. Paxton prepared a criminal complaint charging them with felonies and later testified before a grand jury. A trial is set for July. The three men are believed to have committed eleven other larcenies in the park before being arrested by Soehn and Paxton. Earlier this week Glacier National Park posted a video showing a plower in a front end loader making some serious progress on the Going-to-the-Sun Road near Triple Arches on the west side of the park. If you've never been to Glacier the Going-to-the-Sun Road is a 50-mile engineering marvel that spans the interior of the park, and allows visitors to cross the Continental Divide in dramatic fashion. For a couple-mile stretch the road hugs the cliffs of the Garden Wall, making for an adrenaline-producing, white-knuckle drive. The Going-to-the-Sun Road is expected to open around mid-June this year. If you have any thoughts of traveling to Glacier, or if you know of anyone that might be interested, let our new sister website help with all your hiking plans. Just like our Smokies website, we offer one stop planning with our Accommodations page, and our Things To Do page where you can find guides, outfitters and tours for rafting, boating, hiking and horseback excursions. The Blue Ridge Parkway Foundation is reporting that effective immediately, the speed limit between Highway 74A and Highway 25 (Hendersonville Road) will be reduced from 45 MPH to 35 MPH. This section of the Parkway through the Asheville corridor, from Milepost 383 to Milepost 389, is the most heavily traveled section of the most visited national park site in the country. The speed limit change is aimed at improving the safety of motorists, bicyclists, and pedestrians. In the past six years the Asheville corridor has seen a change in both traffic density and complexity as more residents and visitors choose to use the Parkway. More bicyclists, pedestrians, runners and hikers are using the motor road, in addition to heavy traffic flow that occurs especially during the mornings and evenings and on weekdays. At those busy times, traffic volume has been recorded at levels as high as 1000 vehicles passing in a single hour, in addition to those people recreating along the road edge and shoulder. Since 2006, 144 motor vehicle collisions have occurred on this stretch of road, including one fatal collision, and 41 collisions involving injuries, both with bicycles and motor vehicles. Collision investigations showed that approximately one third of these wrecks were caused at least in part by speed or careless driving. During the same time frame, Park Rangers have made 24 arrests for DUI, issued 870 citations for speeding, and 55 citations for careless driving, in addition to 220 citations for failure to obey stop signs. To read the rest of the press release, please click here. On Monday, May 21, 2012, Secretary of Interior Ken Salazar identified the Chattahoochee River National Recreation Area and National Water Trail as one of 10 river projects across the Southeast to serve as models of the America's Great Outdoors River Initiative to conserve and restore key rivers across the nation, expand outdoor recreational opportunities and support jobs in local communities. "The Chattahoochee River has long been a favorite place for people to get outdoors in the Atlanta metropolitan area," noted National Recreation Area Superintendent Patty Wissinger. "Our recent designation as a National Water Trail and this recognition from America's Great Outdoors highlights the continuing role that the river plays as a regional and national resource as well. Coming with the start of summer vacation this weekend, this is a great reminder to enjoy the national park in your backyard." The Chattahoochee River National Recreation Area is a unit of the National Park Service comprising 48 miles of the Chattahoochee River from Buford Dam on Lake Lanier to Peachtree Creek in the city limits of Atlanta. The National Recreation Area receives approximately three million visitors a year who enjoy over 70 miles of trails for hiking and running and 18 developed river access areas for boating and fishing expeditions. Other rivers recognized in the Southeast and Mid-Atlantic States include the Harpeth River in Tennessee, and the Waccamaw River which flows through both North and South Carolina. For the full Department of the Interior press release, please click here. The Travel Channel, the preeminent travel brand in the media landscape, will join with the National Park Foundation (NPF), the official charity of America’s national parks, in a summer-long campaign to promote America’s 397 national parks. The primary goal of this alliance is to motivate support of our national parks by inspiring Travel Channel viewers to visit these adventure-packed and history-rich destinations as well encourage volunteerism and monetary donations to NPF. Travel Channel will support the NPF partnership via a myriad of on- and off-air initiatives positioned under the Network’s “Destination Summer” campaign. Beginning Memorial Day and continuing through September, the Network will feature 30 hours of programming that puts the spotlight on America’s national parks. In addition, on Saturday, June 9, Travel Channel will celebrate “Get Outdoors Day” with an on-air and online marketing campaign showcasing the national parks through exclusive videos, slideshows and feature articles. The Network will also post exclusive, national park-related content on its Facebook, Foursquare, Pinterest and other social media platforms. NPF will cross-promote these efforts on its website and social media platforms. Travel Channel’s programming campaign spotlighting America’s national parks will kick off on Memorial Day, Monday, May 28, with numerous series and specials including: a “Get Outdoors” stack of programming that includes back-to-back episodes of “Best Parks Ever” which features iconic national parks including Yellowstone, Grand Tetons, Glacier, Great Smoky Mountains and Zion; and “Glamping,” which showcases glamorous camping in the wild. Other summer programming supporting the NPF partnership includes “Park Secrets,” the series that gives viewers everything they need to know to turn from tourist to traveler in America’s parks; and “Alaska Unleashed,” a one-hour special highlighting the best and most extreme adventures in Alaska. A 2012 study by MMGY Global and the U.S. Travel Association found that television programming about U.S. destinations encourages domestic travel. Specifically, 61 percent of Travel Channel viewers reported conducting research to find out more about a U.S. destination featured in a TV program. Moreover, 39 percent of Travel Channel viewers said they are more likely to visit a U.S. destination after viewing a TV program on the topic. Chartered by the U.S. Congress in 1967, NPF is founded on a legacy that began more than a century ago, when private citizens from all walks of life took action to establish and protect our national parks. Today, the foundation carries on that tradition as the only national nonprofit whose sole mission is to directly support the National Park Service. Travel Channel is one of six popular television brands within the Scripps Networks Interactive (SNI) lifestyle media portfolio, which also includes Food Network and HGTV. SNI is committed to its corporate social responsibility program, serving as a positive force for change by focusing on one meal, one home and one community at a time through its Change the World initiatives. Travel Channel’s robust summer-long partnership with the National Park Foundation builds on more than $2.5 million in support that SNI has given to the Friends of the Smokies organization over the past several years to help protect and preserve the Great Smoky Mountains National Park located near SNI headquarters in Knoxville, Tenn. To learn more about all of SNI’s corporate social responsibility efforts, visit snichangetheworld.com. 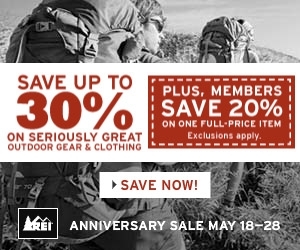 In less than two weeks, on June 2nd, the American Hiking Society will celebrate its 20th National Trails Day. More than 2000 events across the nation will take place, including trail maintenance, hiking, paddling, biking, horseback riding, bird watching, running, trail celebrations and more! * 16th Annual Appalachian Trail Workday in the Smokies with the Friends of the Smokies. This year, work will be focused on sections of the AT between Icewater Springs Shelter and Silers Bald, and heading NE and SW from Low Gap. * Firefly Hike in Elkmont with the Smoky Shadows Service Unit Girl Scouts. * Overmountain Victory National Historic Trail Maintenance Day near Roan Mountain. * National/Tennessee Trails Day Celebration at Roan Mountain State Park. * Hike Cumberland Mountain State Park with the Tennessee Trails Association Plateau Chapter. Tennessee Gov. 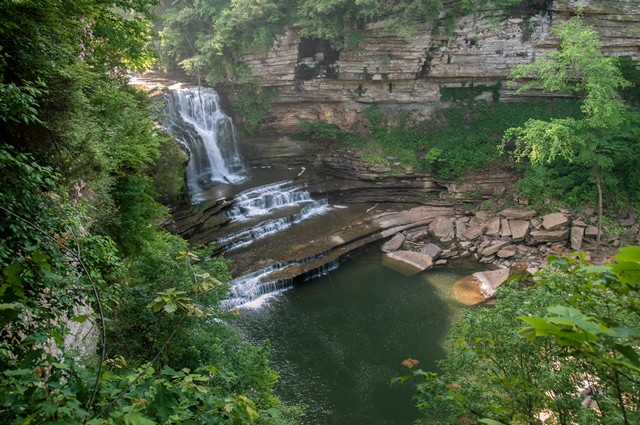 Bill Haslam and Tennessee Department of Environment and Conservation Commissioner Bob Martineau will join members of the General Assembly, local elected officials and members of the community today for a dedication ceremony announcing the newly created Cummins Falls State Park. The new state park will serve as the 54th addition to the Tennessee State Parks system. Located on the beautiful Blackburn Fork State Scenic River, this idyllic 211-acre site in Jackson County is home to Tennessee’s eighth largest waterfall at 75 feet high. Cummins Falls is formed on the Eastern Highland Rim and has been a favorite scenic spot and swimming hole for residents of Jackson and Putman counties for more than 100 years. Cummins Falls also has been listed as one of the ten best swimming holes in the United States by Travel and Leisure magazine. Located in the Cordell Hull watershed, Cummins Falls’ forest includes a variety of oaks, beech, buckeye, sycamore and hemlock trees. The property’s forested streamside protects turkey, quail and eagles, as well as a variety of fox and mink. Through a cooperative agreement with the Tennessee Wildlife Resources Agency, fishing for bluegill and bass along the riverbank will be permitted with a Tennessee fishing license. The park will be a day-use park and will be open from 8 a.m. until sunset year-round. The addition of the new park at Cummins Fall was made possible through the leadership of Gov. Haslam, the Tennessee Department of Environment and Conservation, the Tennessee Wildlife Resources Agency and through the very generous support of the Tennessee Parks and Greenways Foundation. Other key partners include the Nature Conservancy’s Tennessee Chapter, the Cummins Family, the State Lands Acquisition Fund and the Tennessee Department of Transportation. For more information on today's ceremony, please click here. Last Friday Tennessee Gov. Bill Haslam and Environment and Conservation Commissioner Bob Martineau awarded an additional $547,000 in grants for recreational trail projects across Tennessee. The grants are through the Recreational Trails Program, a federally-funded program established to distribute funding for motorized, non-motorized and diverse recreation trail projects. The funds are available to federal, state and local government agencies, as well as non-profit organizations that have obtained IRS 501(c)(3) status and have a written trail management agreement with the agency that owns the property where the trail project is located. To learn more about the RTP grant program and other recreation or conservation-based grant programs available in the future, please click here. For more information about the RTP grant program, contact Gerald Parish at (615) 532-0538 or Gerald.Parish@tn.gov. A complete list of the grants announced last Friday can be found here. The Friends of the Smokies Classic Hikes of the Smokies series continues next month with a hike along the Appalachian Trail and out to Andrews Bald. We'll drop some cars at the Clingmans Dome Parking lot and drive back to the intersection with the Fork Ridge Trail. We'll walk up to Mt. Collins and to Clingmans Dome on the A.T. This section is also the start of the Mountains-to-Sea Trail. Then to Andrews Bald to see the marvelous rehabilitation of this trail by our Trails Forever Crew. We'll finish with a stop at the Clingmans Dome Information Center. Bring your Friends of the Smokies card and your NPS passport for a unique stamp. For more information on the hike to Andrews Bald, please click here. Below are a few random photos I took during an evening drive on the Cades Cove Loop Road. All four photos were shot on Hyatt Lane. The coyote in the third photo was steadily making his way towards us until a car showed-up. I took the picture just before he disappeared into the grass. 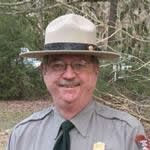 NPS Digest is reporting this morning that Bob Miller, public affairs officer for Great Smoky Mountains National Park, will retire from almost 40 years of federal service on June 2nd. Bob has served as the “voice of the Smokies” since 1989 as the spokesman of America’s most-visited national park. Bob began his career with the National Park Service in 1974 in Washington, DC, where he supervised the rangers who provided information, guided walks, talks and tours at popular visitor destinations, including the White House and the Vietnam Veterans Memorial. He was also the site manager for Ford's Theater. Prior to moving to the Smokies in 1989 Bob was the administrative officer at Acadia National Park in Maine with responsibility for managing all the contracting, budget, personnel and property management functions. While at Great Smoky Mountains, Bob has served as the park's fundraising coordinator and primary liaison with the Friends of Great Smoky Mountains National Park, which has raised over $37 million to support the park since its formation in 1993. As Friends liaison, Bob coordinated development and communication of the park’s annual and long-term support needs to the Friends staff and board and to the public and prospective donors. 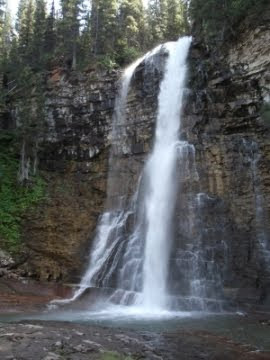 For a list (and details) of some of most prominent and popular hikes to waterfalls in the Smokies, please click here. On Saturday, June 2, 2012, the U.S. Forest Service, partnering organizations and volunteers will host a number of volunteer service events across Georgia’s national forests in celebration of the 20th annual National Trails Day. Hikers, equestrians, mountain bikers and everyone who enjoys the outdoors and wants to give something back are invited to participate. Events include activities such as trail and trailhead maintenance, tree planting and sign installation. As part of the day's celebration, several trail projects have been scheduled in the Chattahoochee-Oconee National Forests, including work days on the Aska Trail System, the Dry Creek Trail System, the Frady Branch Trail System, Jacks River Fields Campground and Trailhead, the Jake and Bull Trail System, Ocmulgee Bluff Trail and the Penitentiary Trail. For more details on each of these projects, please click here. Pisgah National Forests officials issued an alert today for motorists planning to visit the Pisgah Ranger District this Saturday. Today's notice said that motorists should be aware of the Pisgah 111K Mountain Bike Race and associated heavy bicycle traffic scheduled for this Saturday, May 19th. Affected roads include FSR (Forest Service Road) 1206 (Yellow Gap Road), FSR 5000 (Wash Creek Road), and FSR 476 (South Mills River Road). Motorists should expect heavy bicycle traffic between the hours of 9 a.m. and 6 p.m. The racers are aware that the roads are not closed to traffic and have been asked to keep right and ride single file. However, please use caution while driving a motor vehicle in these areas. If you have any questions or concerns, please contact the race director at 828-242-8250. As part of the Joining Forces initiative to support our nation’s service members and their families, several U.S. government agencies have announced an annual pass to active duty service members and their dependents, granting free access to more than 2,000 national parks, wildlife refuges, national forests, and other public lands around the nation in the coming years. Beginning on Armed Forces Day on May 19th, active duty service men and women – Army, Marines, Navy, Air Force, Coast Guard, and activated National Guard and Reserves – can obtain the new military version of the America the Beautiful National Parks and Federal Recreation Lands Annual Pass. The pass will be accepted at National Park Service, U.S. Fish and Wildlife Service, Bureau of Reclamation, Bureau of Land Management, U.S. Forest Service and U.S. Army Corps sites that charge entrance or standard amenity fees. The initiative was announced yesterday during a ceremony at Colonial National Historical Park in Yorktown, Virginia where Secretary of the Interior Ken Salazar, Director of the National Park Service Jonathan B. Jarvis and Assistant Secretary of the Army (Civil Works) Jo-Ellen Darcy distributed the first passes to one member from each of the military’s five branches. Military members and their dependents can pick up a pass at any national park or wildlife refuge that charges an entrance fee or other selected sites. Members must show a current, valid military identification card to obtain their pass. The pass is also available to dependents of active duty personnel. A list of participating sites is available here. Where there are entrance fees, the pass covers the owner and accompanying passengers in a single, private, non-commercial vehicle at recreation sites that charge per vehicle. At sites where per-person entrance fees are charged, it covers the pass owner and three accompanying adults age 16 and older. There is no entry fee for children 15 and under. While the pass is not available to veterans and retirees, many of these individuals are eligible for other discounted passes, such as the Senior Pass, granting lifetime access to U.S. citizens over 62 for $10, and the Access Pass granting free lifetime access for permanently disabled U.S. citizens. For more information on the pass, please click here. NPS Digest published a report yesterday about naked man that was apprehended near Love Gap on the Blue Ridge Parkway. On the morning of May 1st, a suspect fleeing from the Virginia State Police for a speeding violation entered the park in the Love Gap area. Shortly after coming onto the parkway he lost control of his vehicle, resulting in the vehicle flipping onto its roof and catching fire. The man then got out and fled into the woods. Rangers responded and assisted county and state law enforcement agencies in tracking him down. A canine tracking team quickly discovered his discarded pants. Ground-based teams and Virginia State Police helicopters continued to search for him until he was apprehended. At the time of his arrest, the 24-year-old man was naked and suffering from multiple lacerations (no details on where those lacerations were located) as a result of fleeing through the wooded terrain. This incident might sound vaguely familier, but shouldn't be confused with the naked man that was found riding a horse along the Blue Ridge Parkway a couple of weeks ago. Great Smoky Mountains National Park has announced the annual "Cosby in the Park" festival to be held this Saturday, May 19th, at the Park's Cosby campground. In its 13th year, "Cosby in the Park" is presented by the Cocke County Partnership, Great Smoky Mountains Association, and the Park. The event celebrates the cultural heritage of this area and highlights the many recreational opportunities available in the Cosby section of the park. The event is free to the public and is scheduled between 10:00 a.m. and 4:00 p.m. The festivities this year will all take place in the campground amphitheater, and the group campground areas. All of the crafts and children's games will take place near the amphitheater. Free parking for attendees will be provided in campground Loop B. A full day of activities is planned that includes Southern Appalachian music, hikes, and demonstrations on local history, blacksmithing, quilting, corn shuck dolls and crafts, old time toys, natural foods and medicinal plants, and other folk arts. Families are encouraged to attend, and take some time to learn more about old time toys and traditional mountain crafts. This year children and families are invited to make their own rag doll and button whizzer to take home. Are you ready for Gregory Bald this June? Although Gregory Bald is an excellent destination anytime of the year, mid to late June is the absolute best time to make the trek to the summit. In addition to its excellent views of Cades Cove, Gregory Bald provides for one of the best flame azalea shows in the world during this time period. In fact, azalea lovers from all over the world come here to visit perhaps the finest display of flame azaleas anywhere on the planet. According to the Great Smoky Mountains Natural History Association the various hybrids of azaleas on Gregory Bald are so impressive and unique that the British Museum of Natural History has collected samples of them. This isn't an easy hike, however; the Gregory Ridge Trail climbs over 3000 feet, and the roundtrip hike is 11.3 miles - but it's well worth it. This is without a doubt one of the top hikes in the Smokies - no matter what time of year you decide to hike it. If you're visiting from out of town please take a moment to check out the cabin and chalet listings on our website. By supporting our advertisers you help to support HikingintheSmokys.com and this blog! Do hikers need to carry a gun now? * The FBI continues to search for the person(s) who murdered Scott Lilly on the Appalachian Trail in central Virginia. His “partially buried” body was found on August 12th of last year. The FBI recently announced a $10,000 reward for information leading to the arrest and conviction of the perpetrator(s). * Last August, during a violent rampage, an Indiana man stabbed and killed a 76-year-old assistant Boy Scout leader while hiking with three others on a rail trail near Bunker Hill, IN. * On September 25th, 2011, a female driving in the Nantahala National Forest stopped to render aid to a person she believed was incapacitated, while lying beside the road. At that time a firearm was used to subdue the victim, and then she was forcibly raped. As far as I know this case has not been solved. * Last October an avid hiker was found dead on a trail in the San Luis Obispo area with severe trauma to his head and face - presumably murdered. * Back in March there was the highly publicised case of two men disappearing in the Smokies - five days apart - without a trace. In both cases, officials dealt with conflicting clues and details. Did they commit suicide? Did they try to disappear without a trace? Were the two incidents in anyway connected - by someone who possibly kidnapped them and/or murdered them? No other clues in the two cases have emerged. * Perhaps one of the most shocking incidents I've seen related to this subject is learning of two teenagers who were arrested in Utah this past April, after constructing booby traps on a popular trail near Provo. It was a little before midnight Monday when Hensley said Unicoi County 911 received a call stating an individual was holding several hikers hostage at the Beauty Spot lookout on Unaka Mountain. Hensley, who took the call, said the caller stated the man had approached the group of five hikers with a handgun drawn, told them that he was a game warden, and ordered them to get down on their hands and knees. The 911 call, Hensley said, came from one of the hikers allegedly being taken hostage. Two of the hostages happened to be U.S. Coast Guard officers, who were able to take the gun away, and then proceeded to hogtie the assailant! 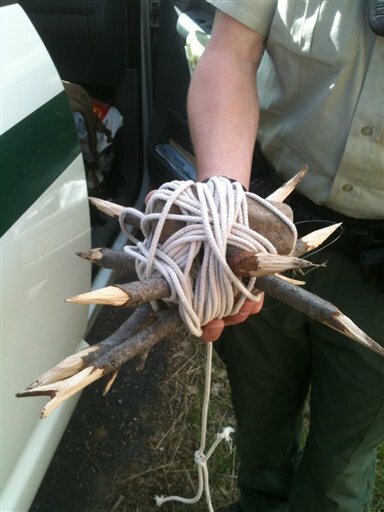 In addition to these particular incidences, National Parks and the USFS have issued warnings from time to time about drug traffickers using parks to transport drugs, set-up meth labs, and even cultivate marijuana within park boundaries. So in the words of the immortal Marvin Gaye: What's going on? Are these isolated incidences, or is there a trend we need to be aware of? Other than hiking in groups, taking self-defense classes, what else can hikers do to protect themselves while out on the trail? Great Smoky Mountains National Park officials have announced that the gravel section of Tremont Road beyond the Great Smoky Mountains Institute will be closed on May 15 and 16 to allow crews to clean ditches, culverts and grade the road while using heavy equipment and dump trucks. Workers will also be adding gravel to the road and removing standing dead trees along the shoulders. The closure of this narrow road is necessary for the safety of visitors and employees during this much needed road work. During the closure periods there will continue to be access to Great Smoky Mountains Institute at Tremont and the West Prong and Lumber Ridge Trailheads. The Middle Prong Trailhead will be inaccessible. Planning a trip to the Cumberland Plateau for a little hiking, biking, canoeing, or any other outdoor pursuit you can think of? The folks over at the Alliance for the Cumberlands recently launched a brand new website to help tourists and outdoor types find almost any type of adventure in the region. The website, called Edge Trekker, is an online platform for exploring the possibilitites of travel in the Cumberland Plateau region. The purpose of the website is to provide a resource for the creation and sharing of trips, and is a part of the Alliance for the Cumberlands' effort to build a nation-wide interest in the Cumberland Plateau region. • 122 natural bridges and stone arches. • 22 chimney formations, including 14 over 20 feet in height and one 200 feet high. • Hundreds of miles of sandstone cliffs up to 120 feet tall, including four of the finest rock climbing sites in the southeast. • 164 waterfalls, including 39 over fifty feet and 10 over 100 feet. The list includes the highest waterfall east of the Mississippi. • 280 caves, 21 of which are described as "extensive," including Cumberland Caverns, Big Bone Cave, and Wonder Cave. • Many wild and spectacular gorges, including Savage Gulf State Natural Area (11,000 acres), containing one of the nation's most significant remnants of virgin cove forest. Below is a film by Chris Gallaway. At roughly 20 minutes, this is much longer than most films I've posted on this blog. However, don't let that deter you from watching it. Punished into Ecstasy just might be the best film about hiking in the Smokies I've seen. If you don't have time to watch it now, bookmark the link and watch it later. Chris did an excellent job of putting this together. Back in April of 2011, Chris joined his older brother for a five-day trek along the Appalachian Trail through the Smokies. They were joined by Ben's two friends, Jason and Casey. What ensued was an adventure and a trial that included numerous physical meltdowns, one hellacious storm, an unexpected snow, and many good memories. It's also a journey of the relationship between brothers. The Blue Ridge Parkway has partnered with Buncombe County's Parks, Greenways and Recreation Services (BCPGRS) in the planning process of the Greenways and Trails Master Plan for the County, which will identify greenway connections mutually beneficial to the Parkway and the County. The goal of the public process is to find the most optimum locations for these connections. This partnership is part of a larger Parkway-specific scoping project for the Asheville Corridor. Increased use and resultant resource damage and safety concerns have created the need for the Blue Ridge Parkway to undertake the Asheville Comprehensive Access and Trail Study. Park staff have inventoried the parking locations, Mountains to Sea Trail access, unauthorized trails, and safety issues from Craven Gap (MP 380) to the ramp at Brevard Road/191 (MP 395). The goal of this study is to identify the trailheads, access, and parking locations that will be designated as official public access, as well as which areas may be closed to facilitate rehabilitation of resources or for safety concerns. Once the appropriate access and parking locations have been identified, the Parkway will look specifically at each site and begin planning improvements that are developed sustainably to meet the National Park Service mission of protecting natural and cultural resources, providing quality visitor experiences, and improving the safety of our visitors. The Blue Ridge Parkway's scoping process will be conducted in conjunction with the County's public meetings to gather public input for the County's Greenways Master Plan. Parkway staff will be at the meetings with more information regarding the trailhead analysis. All meetings will be held from 5:30 pm to 7:30 pm, and will be open house to allow participants to arrive and leave at their convenience. Meeting dates and locations are listed below. The National Park Service will be accepting public comments beginning May 14, 2012 through June 1, 2012. During the 36-day review period, only written comments will be accepted. Comments can be submitted via comment forms at the public meetings, or via the park's planning website. Comments must be submitted or be postmarked by midnight on June 1, 2012 to be considered. Before including your address, phone number, e-mail address, or other personal identifying information in your comment, you should be aware that your entire comment - including your personal identifying information - may be made publicly available at any time. Although you can ask us in your correspondence to withhold your personal identifying information from public review, we cannot guarantee that we will be able to do so. Mark your calendars for September 22, 2012 for the Shenandoah Scramble. Join over 100 hikers in this one-day hike-a-palooza to support the Shenandoah National Park Trust! Pledge or raise $100 or more and choose from one of 6 great hikes in the park. SNPT will feed you breakfast and present you with a one-of-a-kind Shenandoah Scramble hiking shirt. Then you, your group and your trail guide will head to the park for your day of fun. Hike with your family. Hike with your friends. Just hike! SNPT will award prizes for most money raised; awesome gear from REI, The North Face and other outdoor outfitters. Space is limited and reservations are required. Find out more by contacting Shenandoah National Park Trust at (434) 293-2728 or info@snptrust.org. This is really a great idea. The Friends of the Smokies and the Great Smoky Mountains Association should look into doing something similar in the Smokies. They could also do a bike ride in Cades Cove on a Saturday morning in order to to raise funds through the cycling community. In celebration of their 35th anniversary Outside Magazine is seeking proposals for its first annual Adventure Grant, a $10,000 endowment to help fund a "smart, creative, and (perhaps) slightly foolhardy project" that they will feature in an upcoming issue. If interested, and you think you have the right stuff, simply submit your proposed adventure by May 18th. Outside will then conduct a vote at facebook.com/outsidemagazine beginning on June 4th to decide the winner. It's already mid-May, which means mountain laurel will soon be in bloom atop Spence Field. The hike to Spence Field out of Cades Cove is probably one of the most underrated hikes in the Smokies. I would go so far as to say that the combination of Spence Field with Rocky Top would rate as one of my favorite hikes in the Great Smoky Mountains. In addition to the outstanding views from Rocky Top anytime of the year, the mountain laurel atop Spence Field makes this a truly special hike. The best time to tackle the 5.1-mile trek to Spence is usually right around mid-June when the grassy bald area is exploding with mountain laurel. However, given the unseasonably warm weather over the last couple of months, it's seems likely that peak bloom will occur earlier than normal this year. If making plans ahead of time you may want to consider visiting at least one week early, and possibly even making your hike during the first week of June. Of course Spence Field provides some outstanding views of the North Carolina Smokies, but if you still have the energy, you can hike another 1.2 miles to Rocky Top for an even better vantage point - possibly the best in the park. For more information on Spence Field, please click here, and if you plan to venture all the way to Rocky Top, please click here for more information. Over the last two days three baby eaglets have been hatched at the American Eagle Foundation in Pigeon Forge. The bald eagle nesting pair, "Independence" and "Franklin", both disabled and "non-releasable" birds, are cared for by the AEF at its United States Eagle Center in Pigeon Forge. The AEF cares for about 80 birds of prey daily, including the world's largest collection of "non-releasable" bald eagles. These birds are non-releasable due to permanent physical disabilities or accidental imprinting on humans. Many of the eagles residing at the facility have successfully reproduced while in AEF's care. In fact, the AEF also operates the largest Bald Eagle breeding facility in the world, and have released dozens of captive-hatched eaglets into the Great Smoky Mountains area, Tennessee and other places. You can also watch a "live" video feed, streamed on-line 24/7, of the new family by clicking here. This morning's NPS Digest is reporting that a hiker had to be air-lifted off Old Rag Mountain in Shenandoah National Park last week. On the afternoon of May 3rd park dispatch received a report of an injured hiker near the summit of Old Rag Mountain, within a three-quarter-mile section of the popular hike known as The Rock Scramble. The initial report indicated that a 42-year-old man had taken a five to seven-foot fall, and had suffered a back injury. EMS and rescue personnel hiked to his location and found him to be stable but in need of litter evacuation due to his injuries. Extrication by ground would have taken from eight to ten hours and would have included multiple technical raisings and lowerings that might have worsened his injuries. The weather forecast called for heavy thunderstorms later in the evening with significant rainfall and lightning. A call, therefore, was made to the Park Police aviation, and around 6:45 p.m. Eagle 2 headed to the park. The man was then hoisted from the mountain and flown to a hospital for treatment. The Grandfather Mountain Stewardship Foundation is hosting its annual Naturalist Weekend May 11-13. This weekend provides guests with an in-depth look at the diversity found in the mountain’s ecological communities through guided hikes and workshops. The weekend starts off Friday with the all-day Grandfather Spring Bird Count. During the bird count, visitors will be birding at various locations around Grandfather Mountain, including the Blue Ridge Parkway and Grandfather Mountain State Park. That evening, guests will be guided throughout the park looking and listening for Grandfather’s native nocturnal animals in the Owl Prowl. Space for both of Friday’s programs is limited and reservations are necessary. Saturday’s busy schedule begins with a 9:30 a.m. Wildflower Hike and a “Birds of Prey” program at 11 a.m. Naturalist Weekend continues in the afternoon with a “Crayfish Research Project” at 1 p.m. offering participants an introduction to the project and an up-close look at some of Grandfather’s crayfish. At 2 p.m., a Grandfather Mountain Stewardship Foundation Interpretive Ranger leads guests on the “Nature on the Edge Hike.” This trek will follow the Extension Trail loop, starting and ending at the Black Rock Parking Area. This moderately strenuous hike focuses on the transition of habitats from the Mountain’s flanks to ridgeline. Space for this hike is limited and reservations are necessary. Another plant-themed hike begins at 4 p.m. called “Trees and Shrubs of the Southern Appalachians.” This moderately strenuous hike focuses on the native trees and shrubs on Grandfather Mountain. This hike begins and ends at the Extension Trailhead next to the Black Rock Parking area. Sunday’s schedule begins at 7:30 a.m. with a Birding Hike on the Profile Trail in Grandfather Mountain State Park. “Geology of Grandfather,” a hike focusing on the unique geology of Grandfather Mountain begins at 10 a.m.
A “NASA Climate Workshop” begins at 11 a.m. and a “Habitat Animal Training” program at 1 p.m. A “Tracking Animals” guided walk takes place at 2 p.m. and focuses on tracks and signs of animals. The weekend will come to a close with a “Cultural Walk” at 3 p.m. followed by a “Diseases on Trees and Local Plants” program at 4 p.m.
For more information about Grandfather’s Naturalist Weekend or to make reservations for the Owl Prowl or “Nature on the Edge Hike” please call 828-733-4326. To make reservations for the Spring Bird Count please call 828-733-3224. For a complete schedule of the Naturalist Weekend events, please visit www.grandfather.com. All programs and guided walks offered as part of the Naturalist Weekend are included in the regular price of admission. Those who attend for more than one day should keep their receipt from their first visit and present that for discount admission the following day. On April 13th Blue Ridge Parkway rangers received a report that state police had a man in custody who may have been involved in a possible accident in the area where the parkway crosses over Interstate 77. Upon arriving on scene, rangers learned that a man travelling the parkway drove his vehicle off the road and through a field, eventually striking a fence that parallels I-77. He then decided to take off all his clothes and began walking. He eventually "commandeered" a horse belonging to a local farmer whose land borders the park and began riding the horse along an adjacent county road. When state and county officers arrived on scene they saw that the horse was trying to buck the naked rider off. Eventually, the man was thrown from the horse, at which time officers took him into custody. He told the officers that he was under the influence of methedrine. The man was taken to a local hospital for mental evaluation; charges are pending and may include horse theft, indecent exposure and public intoxication. According to a recent press release from the the National Park Office of Communications, there are 18,600 miles of trails in our national parks. That means, with roughly 850 miles, Great Smoky Mountains National Park contains more than 4.5% of all the trail mileage in our national parks! NPS Digest is reporting that a 45-year-old Virginia man died last Saturday while on a commercial rafting trip on the lower Gauley River in West Virginia. Rangers and other emergency resources responded to a 911 call regarding an unresponsive passenger, with CPR in progress, on a remote and mostly inaccessible section of the Gauley River downstream from the Lower Mash Rapids. An aero-medical helicopter, ambulances, and a Norfolk Southern Railroad high-railer were ordered to assist with the evacuation. As rangers were hiking into the location they were advised that the helicopter had successfully evacuated the man but that he’d been pronounced dead. Rangers and state conservation officers conducted an investigation throughout the remainder of the day. The man had been on a rafting trip with his brothers and friends, and had fallen out of his raft and into the river while going through Lower Mash Rapids. Passengers on another boat were able to pick him up and put him back into the boat. Soon after, the man experienced difficulty breathing and became unresponsive. CPR was administered by rafting company employees. The pilot of the responding helicopter made an improvised landing on a roughly 24-square-foot rock near Diagonal Ledges Rapids and the crew continued EMS until the man was pronounced dead. The cause of death is pending autopsy results. At the time, the Gauley River was running approximately 5,500 cubic feet per second (cfs). Lower Mash is a Class IV rapid at 2,800 cfs. The U.S. Forest Service is encouraging campers and visitors to the Graveyard Fields area of the Pisgah National Forest to be aware of black bears, following a bear encounter on May 1. A group of campers reported that a black bear, apparently in search of food, approached their tent at night. The campers scared the bear away by banging pots and pans. No injuries or property damage were reported. Other bears may have been in the area. 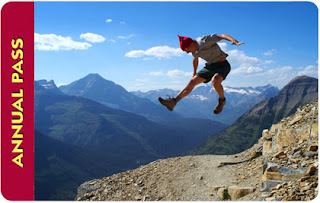 Last month I published a list of my Top 10 Hikes in Glacier National Park. After creating the list I realized that many of the trails were fairly long day hikes, which obviously won't appeal to everyone. 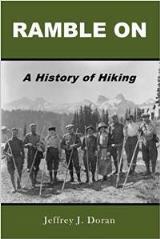 So I decided to start from scratch and build a new list, based on the best of the easier hikes in the park. Hopefully you'll find this helpful as a starting point in trying to decide where to hike during your visit. Hidden Lake Overlook – This extremely popular hike, starting from Logan Pass, visits the Hidden Lake Overlook where you’ll have outstanding panoramic views into the heart of Glacier. Redrock Falls - An outstanding choice for an easy hike. In addition to the very impressive series of cascades and falls, you’ll also visit two picturesque sub-alpine lakes, and maybe even have a chance to see a moose along the way. Virginia Falls - Dropping more than 50 feet off a sheer cliff face, Virginia Falls just might be one of the most beautiful falls I’ve ever seen. Additionally, waterfall aficionados will get a chance to see St. Mary Falls, and two other very impressive, but unnamed falls along the way. 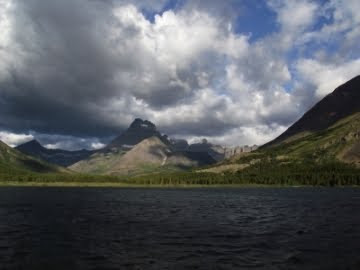 Swiftcurrent Nature Trail – Take an easy stroll around Swiftcurrent Lake for some outstanding views of the Many Glacier Valley. As a bonus, hikers may even see a bear or a moose along the way. Johns Lake Loop - Easy loop hike that visits a small woodland pond, Sacred Dancing Cascade, and McDonald Falls. St. Mary Falls - If you’re looking for a very short hike to see an awesome waterfall, this should fit the bill. Rocky Point - Stunning views of Lake McDonald, as well as the mountains in the Sperry Glacier vicinity. Running Eagle Falls - “Trick Falls” is a must see in the Two Medicine Area. It’s a very easy, handicap accessible trail. Forest and Fire Nature Trail – A great hike if you’re looking to get away from the crowds. Witness the re-growth of a brand new forest as it recovers from the 2001 Moose Fire. Trail of the Cedars – This popular loop hike travels along a raised boardwalk as it passes though a forest of ancient western hemlocks and red cedars. You’ll also have outstanding views of the stunning Avalanche Gorge. Rangers and special agents continue to investigate an armed robbery that occurred last Wednesday afternoon on the Foothills Parkway-East. A man and woman, both from Newport, Tennessee, reported that they were sitting in their vehicle at an overlook when they were confronted by two people dressed in dark clothing and wearing ski masks. One of them assaulted the man by spraying him with pepper spray and hitting him on the head with a silver colored handgun. They then took the victim's 2004 maroon Nissan sedan and drove east on the parkway towards I-40. A park employee came across the victims a short while after the attack and reported the incident. Cocke County deputies and rangers responded and recovered the car, which had been abandoned along the parkway. A search of the area, with the assistance of a sheriff's department search dog, resulted in the recovery of clothing articles and other forensic evidence believed to belong to the suspects. The man was taken by ambulance to Newport Medical Center, where he was treated and released. Park investigators do not believe this was a random crime against a park visitor – it appears that the victims may have been specifically targeted. Park officials are asking anyone with information concerning the incident to call park investigators at 828-497-1936. Next Wednesday marks the first day of Bicycle Mornings in Cades Cove. From May 9th through late September, the Cades Cove Loop Road will be closed to motor vehicle traffic on Wednesday and Saturday mornings until 10:00 a.m. in order to allow bicyclists and pedestrians the chance to enjoy the cove. Two years ago the Smokies re-paved the loop road and made it an outstanding destination for road bikes. The 11-mile one-way road provides bicyclists with excellent opportunities for viewing wildlife and touring 19th century homesites. During the summer and fall season, bicycles may be rented from the Cades Cove Campground Store (located near the Cades Cove Campground) if needed. For information call (865) 448-9034. If at all possible I would highly recommend bringing your own bikes. The Blue Ridge Parkway is preparing to open for the summer season and the projects listed below are planned to be in process from Memorial Day through October 2012. The current road closures associated with tunnel repair projects at Milepost 401 and 461 are scheduled to open to two-lane traffic by April 16, 2012. The road closure on the Parkway, at Milepost 217 to 237, is scheduled to open to two-lane traffic on May 16, 2012. New road repair projects scheduled for the 2012 summer season are listed below. Parkway Milepost 0 (US 64/250) to Milepost 15.4 (Love Gap) in Nelson and Augusta Counties, Virginia: Parkway pavement reconstruction is planned to begin on May 1, 2012 and will continue through December 31, 2012. The project will be completed under one-lane traffic control by flagmen or traffic light in several locations. No work is expected during weekends, national holidays, or during the month of October. The parking areas at the Humpback Rocks Visitor Center, and trailhead parking for the Humpback Rocks Trail at Milepost 6, will be reduced during construction. Visitors can expect continued and full use of all other hiking trails though this section of Parkway during construction. Parkway Milepost 286, replacement of defective railing and repairs to the concrete deck, on Goshen Creek Bridge in Watauga County, North Carolina: This project is expected to begin in May 2012, and will continue until September 30, 2012. The work will be completed under one-lane traffic control by traffic light and shall be limited to the length of the bridge. No work is expected during weekends and national holidays. Parkway Milepost 304 (Linn Cove Viaduct) to 317.5 (at US 221), in Avery and Burke Counties, North Carolina: Parkway pavement reconstruction is expected to continue until the end of August 2012. The project will be completed under one-lane traffic control by flagmen in several locations. No work is expected during weekends and national holidays. Construction activities will not affect the operating schedule of the Linn Cove or Linville Falls Visitor Centers. Visitors can expect continued and full use of hiking trails though this section of Parkway. Bridge deck sealing and roadway abutment paving on select bridge structures throughout the Parkway: Two contracts have been awarded to conduct preventative maintenance on Park bridges. These projects are planned to begin on April 23, 2012 and will continue through August 2012. Work will be conducted under one-lane traffic control. No work is expected during weekends and national holidays. Parkway Milepost 358 to 359, just north of Craggy Gardens and south of Mount Mitchell State Park, in Buncombe County, North Carolina: A project to stabilize a slope failure at Milepost 358.8 is expected to begin in July 2012. Pavement has been slowly settling in this area as a result of a failed retaining wall at the base of a fill slope. For the 2012 summer season there will be no restriction to access at Mt. Mitchell State Park or Craggy Gardens Picnic Area. The work will be completed under one-lane traffic control by automatic traffic light from July through October 31, 2012. Weekend work may be authorized for this project as a means to expedite completion. Work on national holidays is not anticipated. Between November 1, 2012 and Summer 2013, this section of Parkway must be closed to traffic to complete the project. A detour will be implemented and a detailed detour plan will be developed and distributed prior to the November 1, 2012 closure.